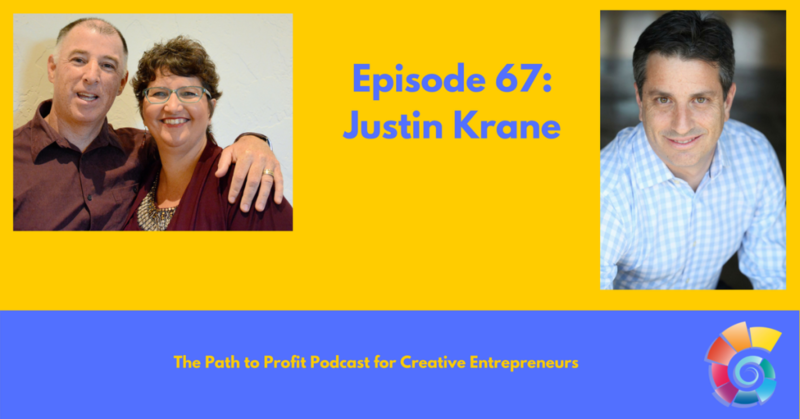 Justin Krane, a self-styled “Money Strategist”, joined us on the podcast to talk money and more specifically, profit. We got into floaties, National Get Your Head Out Of The Sand Day, ROL (Return On Life) and more. 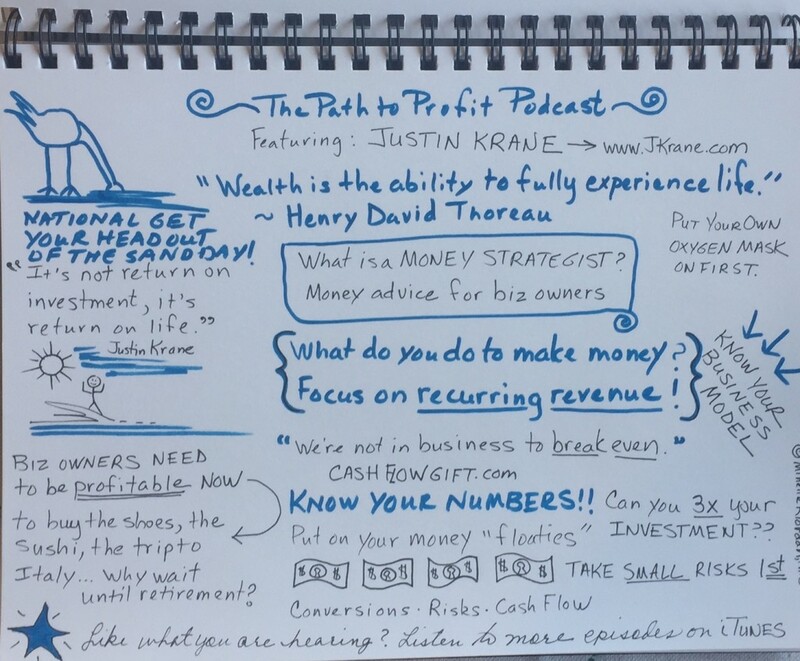 Huge takeaways for any entrepreneur about how to view your spending, income, and profits. Fun talk! Justin isn’t about cutting back and living a frugal life. Justin is all about getting the shoes, doing sushi, and living the best life today – and saving for the future. Justin is the author of the book : Money. You Got This. He shares his every day crazy funny life stories – and gives you a money lesson. Justin is also a Certified Financial Planner professional. He has been featured in CBS, Fox Business News, and MSNBC. You can also view this call’s video recording on our Youtube channel. Brad Dobson is a co-founder of the Path to Profit Academy, and husband of Minette Riordan. He handles all the techy stuff and shares parenting duties. He is a 2-time marathon and 3-time Ironman finisher and for some reason enjoys endurance athletics. After 25 years in the software industry he quit his job to become an entrepreneur alongside Minette.